Nationwide, Americans owe more than $1.45 trillion in student loan debt, outpacing credit cards and auto loans as the leading source of non-housing debt. It is a disservice to our students to not provide clear guidance on how their student loans and financial management in college could impact them for the rest of their lives. The Empowering Students Through Enhanced Financial Counseling Act will help to mitigate these negative impacts by providing students and parents who participate in the federal loan program with interactive financial counseling and a clear explanation of their future financial obligations. As a father, I believe we should do everything we can to ensure the success of our children and I am glad to see this commonsense approach advance to support our future leaders. Ensures borrowers who participate in the federal loan program receive interactive counseling each year that reflects their individual borrowing situation. 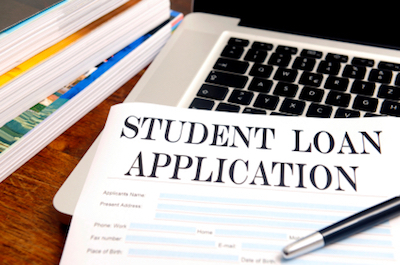 Provides awareness about the financial obligations borrowers are accumulating by requiring them to consent each year before receiving federal student loans. Informs low-income students about the terms and conditions of the Pell Grant program through annual counseling. Directs the Secretary of the Department of Education to maintain and disseminate a consumer-tested, online counseling tool institutions can use to provide annual loan counseling, exit counseling, and annual Pell Grant counseling. Find more information on H.R.1635 here.